Rennet Powder, the purest rennet on the market. Long shelflife. 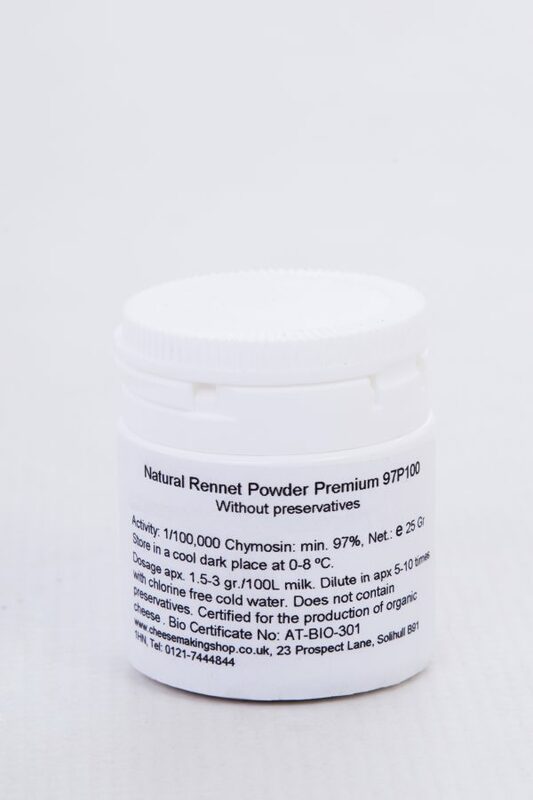 Rennet Powder, The purest rennet! BioRen® POWDERED RENNET with 97% chymosin content is the purest form of natural rennet and ideal for hard cheese with maturing times of a few months up to many years. Dosage only 0.15-0.3 gr/10 litres. 25gr tub. The high concentration of pure calves’ chymosin in Hundsbichler’s premium rennet powder makes this product particularly good for cheeses with very long maturing periods. It ensures that the cheese does not become bitter in taste. 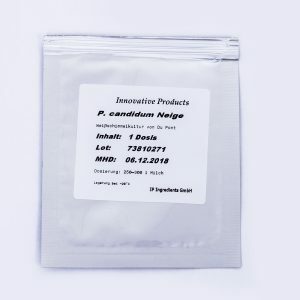 The powder always starts in the form of liquid natural rennet, which means that different compositions and concentrations may also be produced with the powder. BIOREN® rennet powder is the purest form of natural rennet. 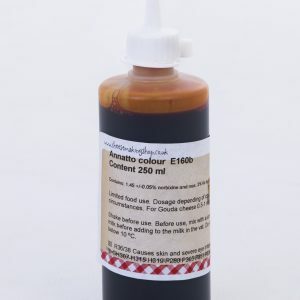 It is used in cheeses that require particularly long maturity. Hundsbichler guarantees a chymosin content of 97%. This eliminates any problems that producers might normally encounter when working to maturity times of two years and longer. BIOREN® powder is produced exclusively from the stomachs of young calves. The raw material sources are permanently monitored in the interest of the highest possible quality. A significant proportion of the product’s raw materials is procured in Australia and in New Zealand. Unspoilt nature and the fact that calves there are only fed with milk from their own mothers result in highly reliable and best possible natural rennet. The good relationships that Hundsbichler maintains with suppliers in these countries have been established for decades. The raw material is gently extracted in a solution of table salt and spring water from the mountains in Tyrol. In this state, the natural rennet is then cleaned and preserved through several mechanical filtration processes. 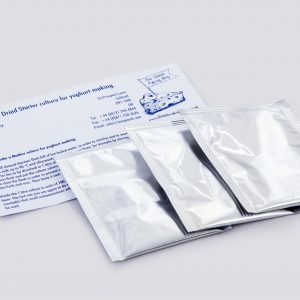 The company deliberately does not employ any cheap filtration method like e.g. 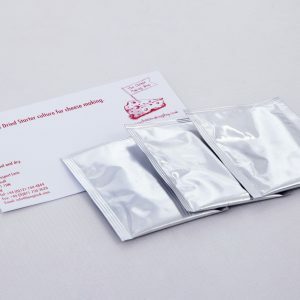 vacuum rotation filters to prevent product oxidation. The product is dried using very traditional and time-consuming but also extremely gentle methods. The process entails a lot of manual work, which, however, constitutes the basis for the high-quality of Hundsbichler’s rennet powder. The company operates only on the basis of batch production to ensure continuous process monitoring and traceability. Hundsbichler therefore always knows precisely what it produces and sells. BIOREN® natural rennet powder is used particularly in cheeses with long maturation times. Grana Padano, Parmigiano Reggiano, Emmental or Bergkäse (mountain cheese) are probably the most familiar. Maturation times of more than three years have already been achieved with Hundsbichler’s products without any bitter substances being produced. Rennet strengths are also available to suit most customers’ required strengths. The company caters to all operations i.e. from the small individual producer to the industrial bulk manufacturers of cheese. Hundsbichler’s natural rennet powder is diluted in slightly salted chloride-free cold water and added to the vat milk. • BIOREN® Premium 97P is a fine crystalline powder and contains approx. 95% table-salt (NaCl) and is therefore safe to utilise. • As with all natural enzymes, BIOREN® Premium 97P should also be stored at a dark place at a temperature of between 0°C and +7°C. For product storage times over 12 months the enzyme activity might fall by approximately 1 – 2 % per month. • A storage over the indicated date on the label does not necessarily mean that the product is unemployable. In this case for quality management reasons a check of the needed values is indispensably recommended. Cultures for Cheese Making. Mesophilic.